Most household smoke detectors contain a small amount of radioactive material, usually only 1 Curie of Americium 241 (about 3 micrograms, a minuscule amount). Smoke detectors are perfectly safe when mounted on a wall or ceiling, but this radioactive material is hazardous when a smoke detector is crushed or incinerated. As a result, smoke detectors must be properly disposed of so that the radioactive material does not leach into groundwater. 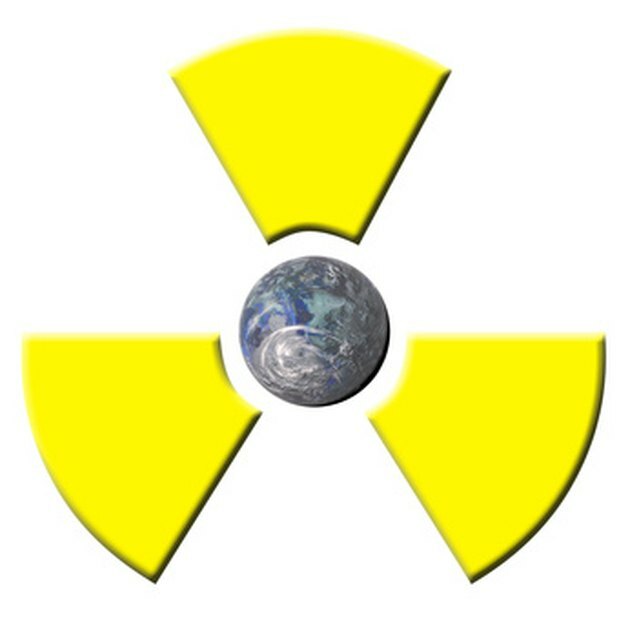 Radioactive materials must be handled properly to avoid contamination. Remove the battery from the plastic housing on the smoke detector by sliding out a plastic tab. A screwdriver may be required. Alkaline batteries must be properly recycled. Most hardware stores and home improvement stores offer this service. Package the detector snugly with newspaper or packing peanuts inside the cushioned envelope or box. Make sure there's enough cushion to avoid getting crushed in transit. Such small amounts of radioactive material are legal to ship, but only via domestic ground mail. Do not send via airmail or across national borders. Check the user's manual for the detector to see if the manufacturer offers a hazardous waste disposal program. Most smoke detector manufacturers do. See the resources section below this article for some popular manufacturers. If the manufacturer does not accept old detectors, dispose of the old smoke detector at a designated hazardous waste collection location. These are run by the state, county or a private contractor. There are also periodic Household Hazardous Waste (HHW) days in cities across the country. Each region has its own infrastructure for handling HHW. Check the Environmental Protection Agency guidelines resource below this article for disposal instructions specific to your region. Sam L. Roth is a diversified communications professional, providing services to small businesses and non-profits as a Web strategist, writer, and technical consultant. He received his B.A. in literary studies from Beloit College and has worked in corporate communications and advertising. He works with People On Picnics in Philadelphia.